On Thursday 18th February 2016, me, Danny and Jacob decided to meet to shoot the scenes for our Rebels and Scavengers for our title sequence. Unfortunately, due to miscommunication, Jacob wasn't able to come and film with us on the day. So, me and Danny brought the tri-pod and the two cameras with us. 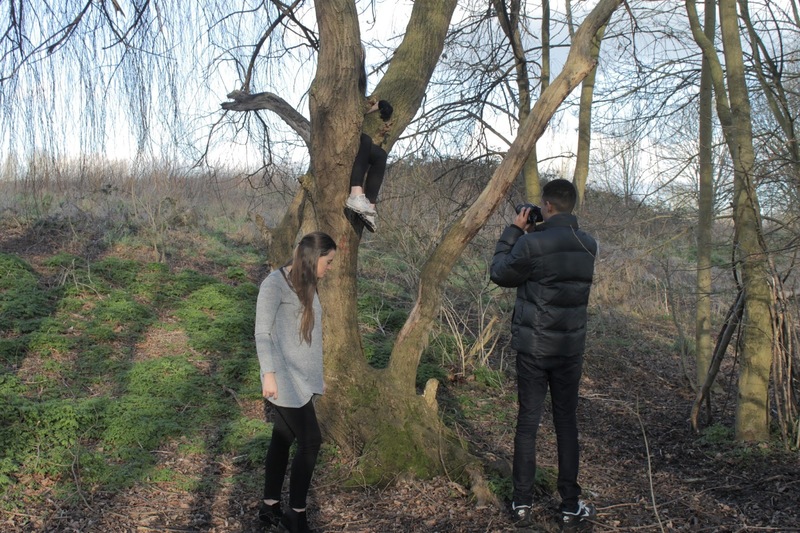 We decided to use the location of Fanny on the Hill park in Welling for both of our scenes. Luckily, we managed to get 3 actors to act the parts. In the park near the woods, we managed to build and create a mini-set of survival things such as: shelters made of twigs, an amateur clothing line and an stack of twigs for a fire. We then shot this and took multiple angles and camera shots to achieve the vision we wanted for this Scavengers scene. For the Rebels scene, we went to a back road near the park in Welling. Down this road, we saw a wall covered in graffiti, with the road looking quite desolate. We came supplied with 4 fake guns for our actors to use for the Rebels scene, along with scarfs and bandanas to create an atmosphere of mystery and, to make them look the part for this particular scene. 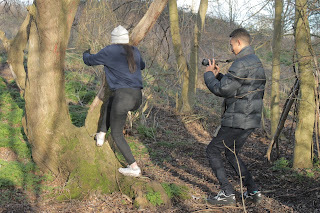 We also experimented with different camera angles and different camera shots to help achieve the visions we had set.